Join us for the Karuara tour, organized in support of Kukama Indigenous activists who are protecting their rivers and culture in Peru’s northern Amazon region from extractive and exploitative industries. “Karuara” means people of the river in the Kukama language, and refers to the sacred guardians of the Amazon’s waterways. Mari Luz Canaquiri Murayari, president of the Kukama Women’s Federation, will be traveling across the province during October with filmmakers Miguel Araoz and Stephanie Boyd. For the past 20 years Mari Luz has been protecting rivers in the Amazon from oil exploration, dredging, and other mega-projects such as hydroelectric dams. The trio will present their short film Parana-The River, which highlights Mari Luz’s tireless work to defend the Marañon River and her culture. 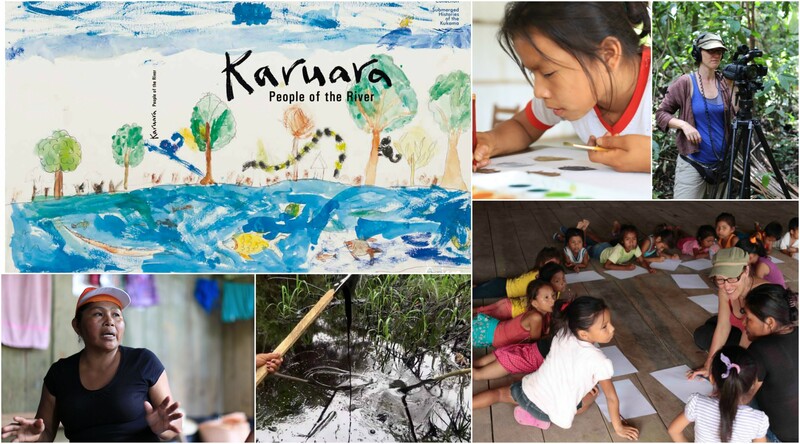 They will also present a book of traditional Kukama stories, illustrated by children and entitled Karuara, People of the River (2016). As a part of the tour Mari Luz will be meeting and making presentations with local Indigenous land defenders and water protectors in the hope of highlighting the patterns of extraction, dispossession and cultural erasure that are impacting Indigenous peoples across borders. Oct 23rd 6pm Panel Discussion - Roundhouse Community Arts Centre Partners:Mining Justice Alliance, Co-Development Canada, Quisca Productions and Wainakana Kamatahuara kana - the Federation of Kukama Women, LUSH Foundation, Amnesty International, Thompson Rivers University, UBC Musuem of Anthropology, SFU Institute of the Humanities. Canada needs to be "Open for Justice" and not just "Open for Business"